At 54 after being sold by a group of thieves, a Mayan text was declared authentic by the specialists. The National Institute of History and Anthropology of Mexico stated that the text that resembles a calendar was created around the period 1021-1154 AD. and is the oldest precolumbian document discovered so far. The 10 pages that survived the passage of time will be known as the "Mayan Codex of Mexico". According to Mail Online, formerly known as "Grox Codex". At first, the book was composed of 20 pages containing a series of observations and predictions associated with Venus's astral movements. The Mayan texts are composed of a series of syllable glips. A Mexican collector bought the document in 1964, and was first exposed at the Grolier Club in New York in 1971. Collector Josue Saenz returned the book to the Mexican authorities in 1974. 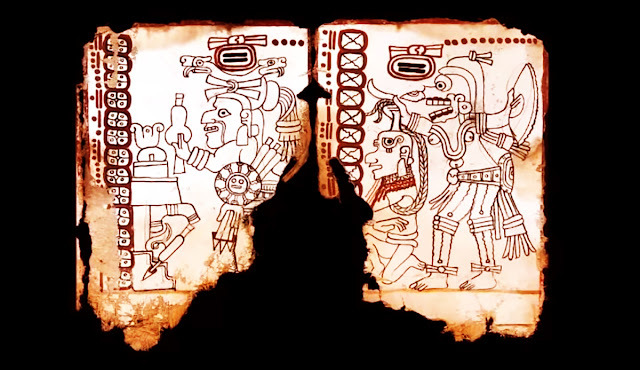 "The style in this book is different from that of other Mayan papers, this fact questioned the authenticity of the book," the Institute said in an official statement. "We have carried out a series of chemical tests to prove its authenticity," they added.